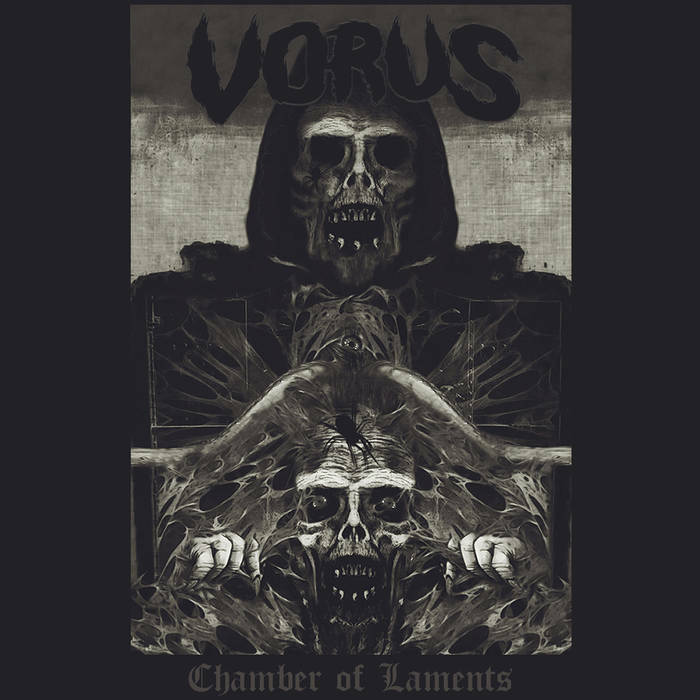 Vorus is a solo death metal band from Romania, and this is his debut demo. This is blackened old-school death metal; ugly, stinking, filthy, and brutal. Altogether we get three tracks lasting almost 12 minutes. It’s classic, old-school death metal given a blackened makeover and then dragged through the swamp. In case there’s any doubt at all – this is a good, good thing. The songs drip with dark, macabre atmosphere and evil intent. A lot of this is supplied by the grim melodies and blackened veneer that the songs have, but it’s an inherent part of the music as a whole, really. Growls and rasps lurk within the music like patient predators, stalking and hunting the unwary. These vocals sound dirty and almost inhuman, complementing the music well. As for the production values, Chamber of Laments is raw and underground, but still manages to boast a better recording than some albums I’ve heard. Certainly, I have no complaints in this regard. Chamber of Laments is a very enjoyable debut release from this a very promising project. There’s a good quality of material here, so I recommend checking this out and then preparing for whatever Vorus does next; based on this, it’ll be worth giving a listen to. This entry was posted in Death Metal and tagged Blackened Death Metal, Classic Death Metal, Death Metal, Metal, Old-School Death Metal, Vorus. Bookmark the permalink.